At Submerge, we have a passion for healthy families, and that means your children are a top priority. Our nurseries are clean, safe, and staffed with loving workers. We offer a dynamic children’s ministry that seeks to engage kids and equip families. There are many ways to get involved. A great starting place is to stay over after service for great food and fellowship where you’ll meet church leadership and learn more about the heartbeat of Submerge. We invite you to build friendships, learn more about the life of our church, and grow in your faith. 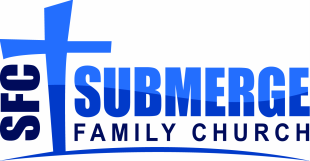 Here at Submerge Family Church our vision is simply love God, grow people, reach the world. At Submerge, our hearts' desire is to see our community living for Christ, and we believe this is how Submerge Family Church can accomplish that. Our vision is to see everyone who walks through our doors truly encounter the love and presence of God. With their new-found passion, we want to see each individual grow to their fullest potential in Christ. Together we can take the next step by reaching out to others and leave a lasting impact on the world.